On Tuesday, she took to Instagram to share a shot of herself sitting at the mixing decks in a music studio, as well as spending time in the recording booth. 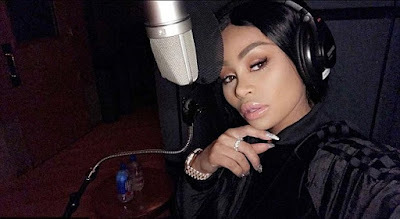 And it has now been reported that Blac Chyna is going full speed on launching a music career - and she is already said to have brought several notable names from the hip-hop world on board for her debut project. 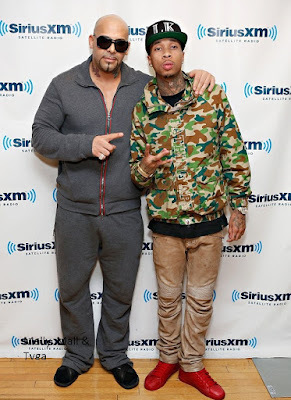 According to TMZ, the 29-year-old dancer has interestingly recruited Mally Mall, the popular producer credited with discovering her ex, Tyga and launching his career. Among those also reportedly in line to feature on the album are Tory Lanez, Jeremih, Yo Gotti and Rae Sremmurd's Swae Lee.